Restoring from bootable media provides us a new option to fix the system when it’s damaged and unable to boot. Windows backup tool AOMEI Backupper has been integrated with AOMEI PE Builder. We can use AOMEI Backupper conveniently in Windows PE now. Thank you so much for your prompt reply. Unfortunately, my system has crashed already and I can’t even access into Windows now. But I do have created a system image. Is it possible for me to restore the system without accessing into it? Like in Win PE. Because seems to me, that’s the only option left for me right now. If you encounter the same problem above some day, you can find the solution with the help of AOMEI PE Builder in which AOMEI Backupper, AOMEI Partition Assistant have all been included. 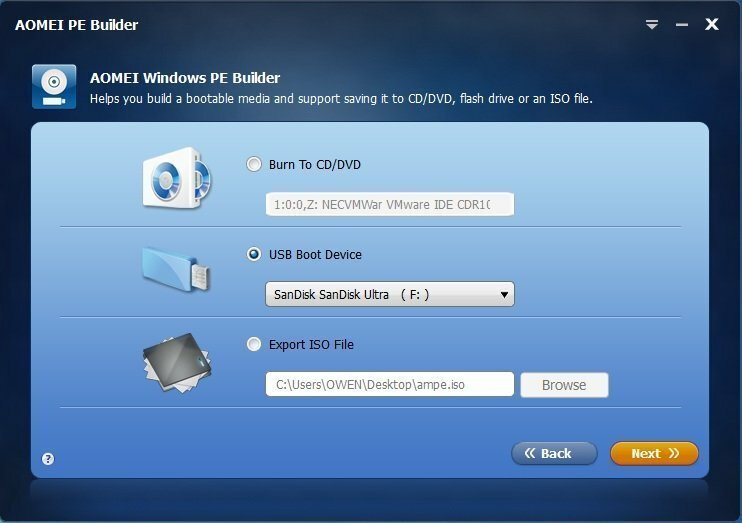 AOMEI PE Builder offers Windows users a possibility to create bootable media that not only provides an access into Windows PE, but also provides two powerful hard disk partition management tools: AOMEI Backupper and AOMEI Partition Assistant. 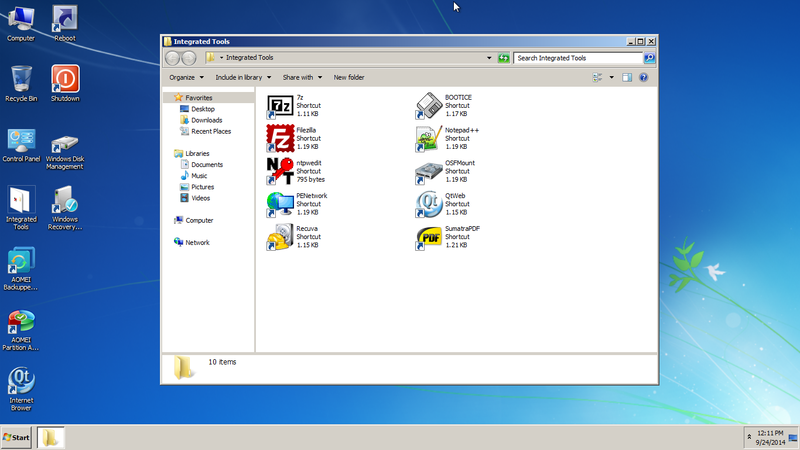 AOMEI Backupper is an reliable and easy-to-use Windows backup freeware. It allows the user to backup system, partitions and the entire disk. But the awkward thing is system backup image often seems useless because the user cannot even access into Windows to use the system restore function in AOMEI Backupper after system crash. Fortunately, this time we can launch and use AOMEI Backupper in Windows PE with the help of AOMEI PE Builder. AOMEI PE Builder can help the user to create a Windows 7-like environment in which Desktop, Disk Management, AOMEI Backupper, AOMEI Partition Assistant are all included. Then the user can put this ISO into CD/DVD or USB device. Once the image file of the system is created in AOMEI Backupper, we can download and install AOMEI PE Builder then. Launch AOMEI PE Builder. After you agreed with the terms and conditions, select the device that you want to save the ISO to. This ISO could be CD/DVD and USB device. The ISO requires more than 1GB storage space because it’s the original Windows PE plus AOMEI Partition Assistant and AOMEI Backupper. Once the device is decided, click on Next. The bootable media will be created in a short time. If you get bad luck one day and your Windows system is unable to boot, you can use the prepared bootable media to restore the system. Go to BIOS and change the boot device to CD/DVD or USB device. Thus we access Windows PE. Double click AOMEI Backupper on desktop. In AOMEI Backupper’s main interface, choose Restore. In backup list, click on “Path” button to locate the system image manually. The follow the wizard to complete the restore task.